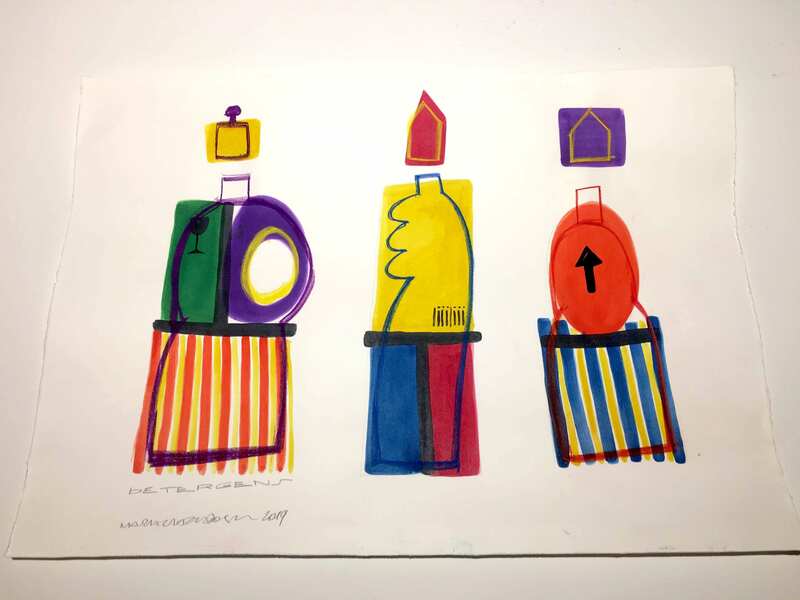 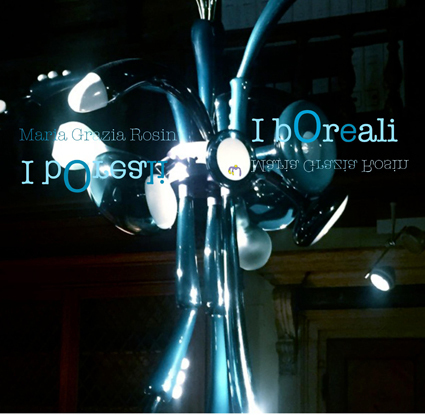 I am pleased to invite you to visit the gallery to admire the surreal world of Maria Grazia Rosin. 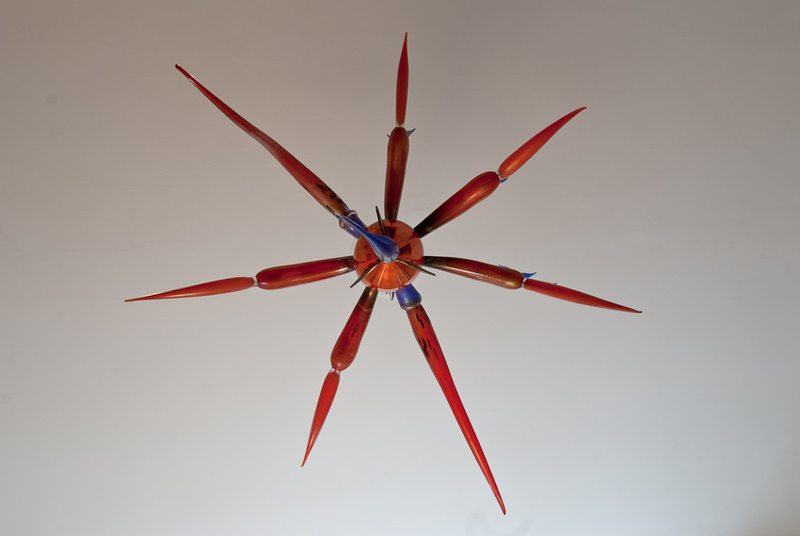 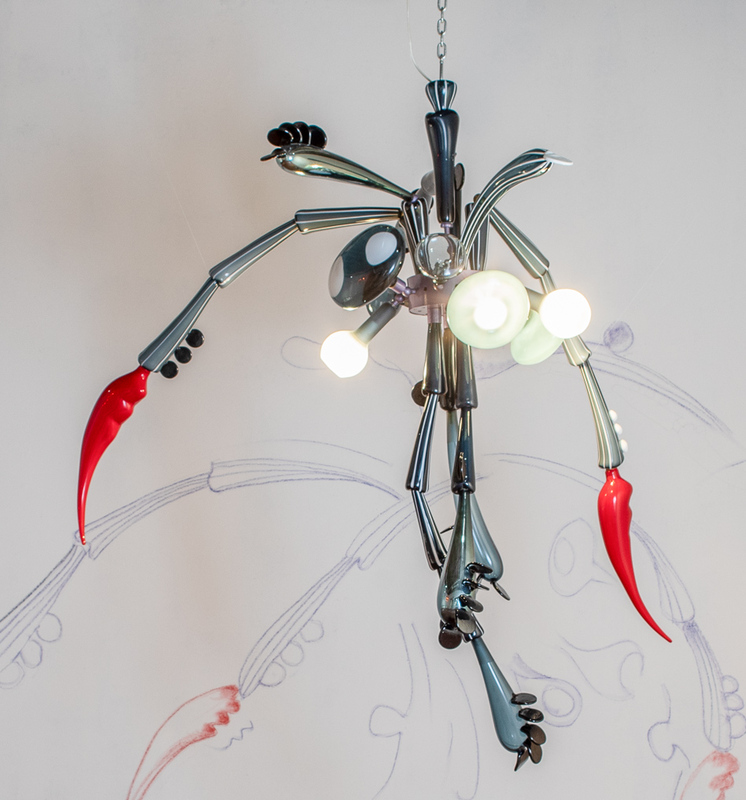 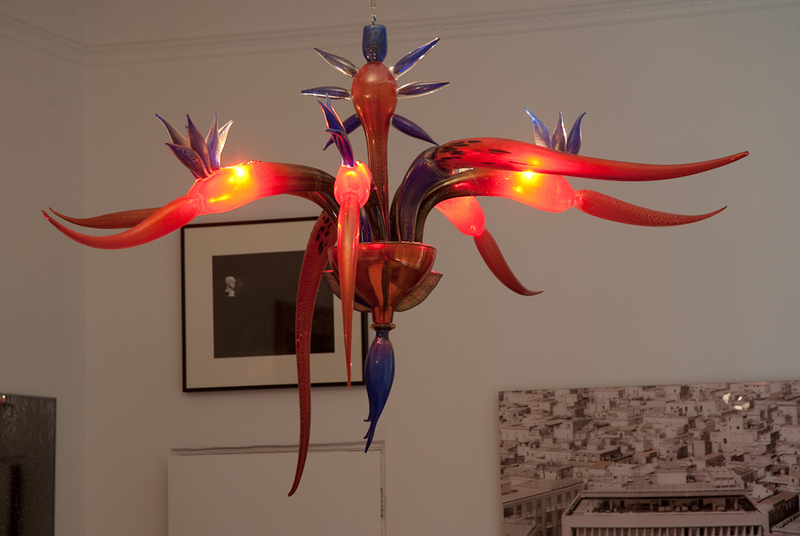 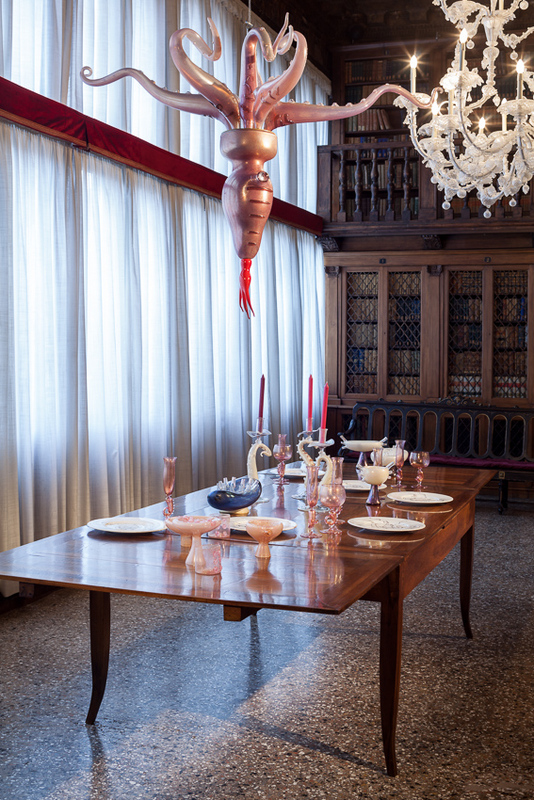 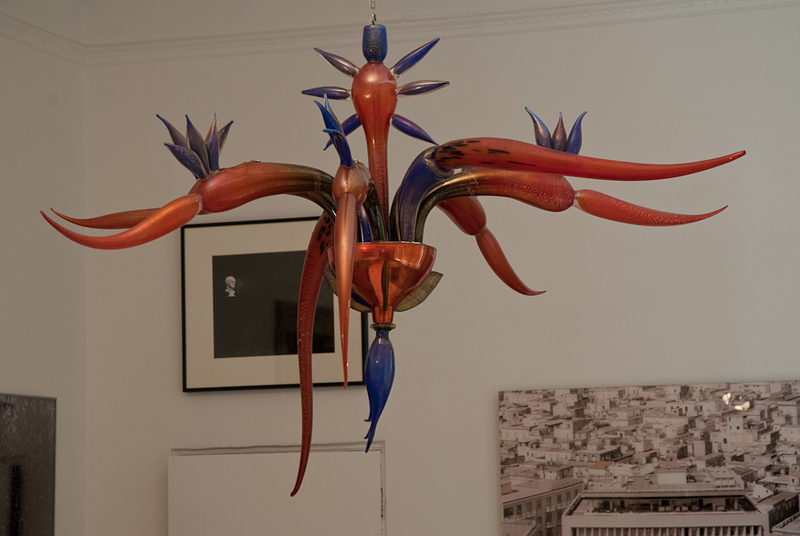 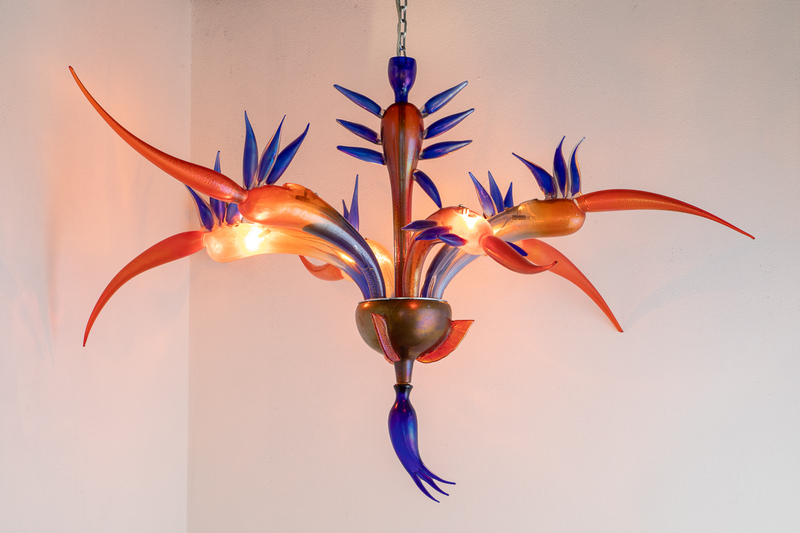 Folpo, is a dialect word that has by its nature a form that recalls the traditional venetian chandelier. 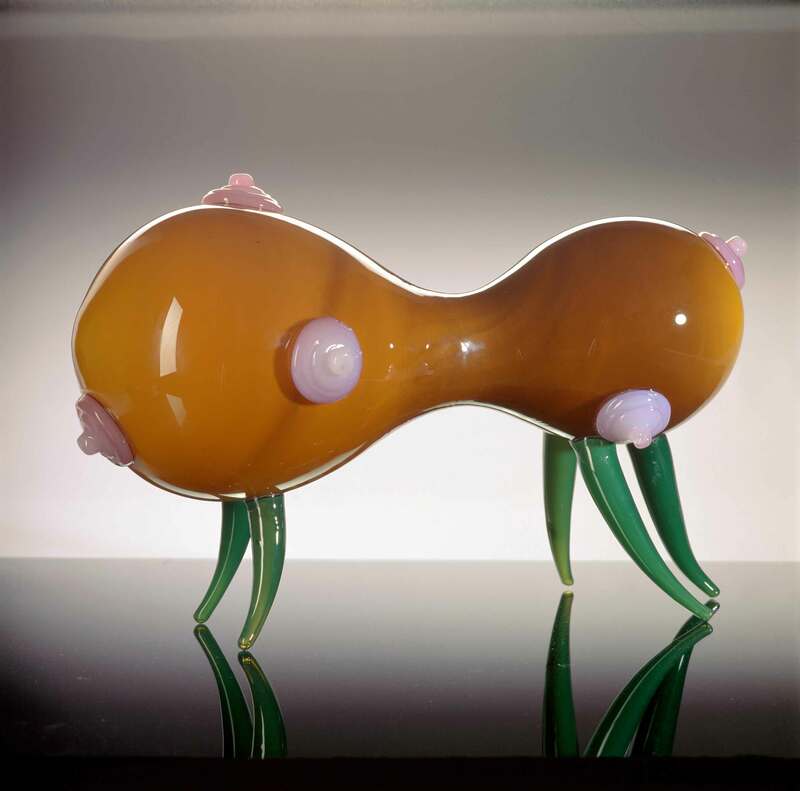 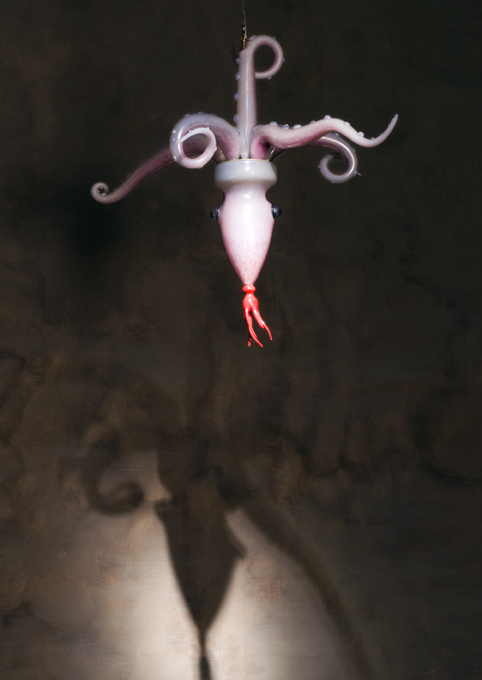 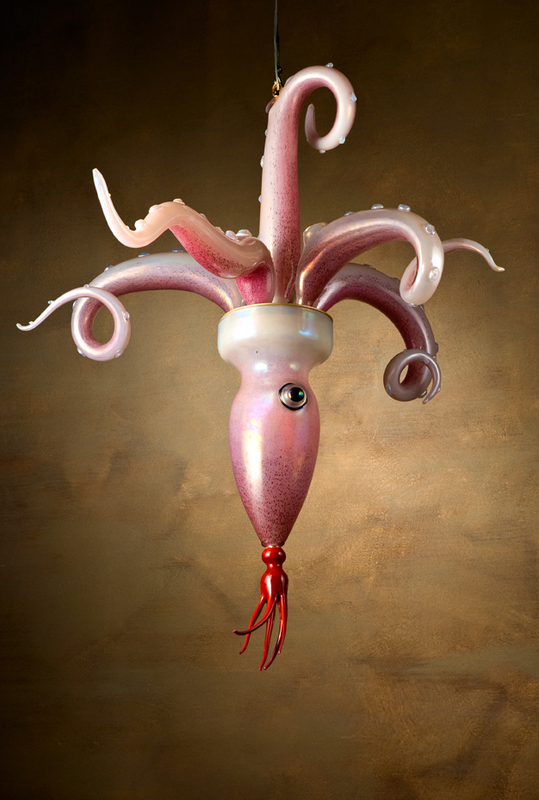 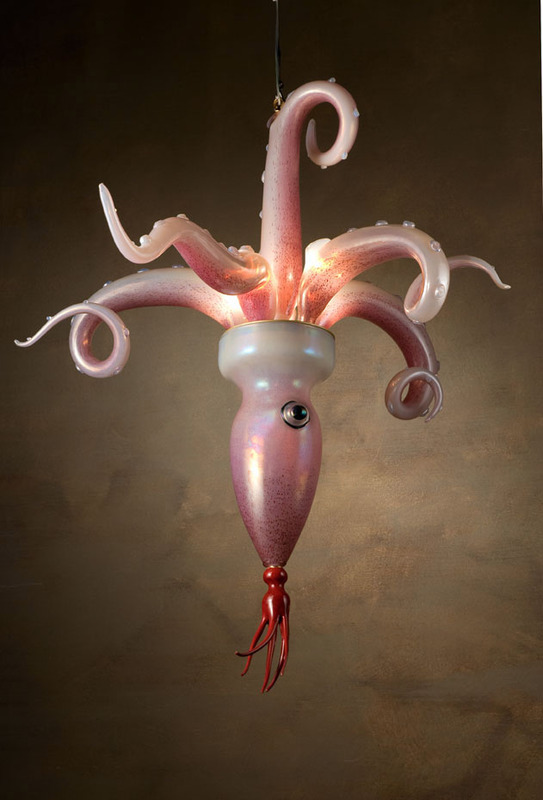 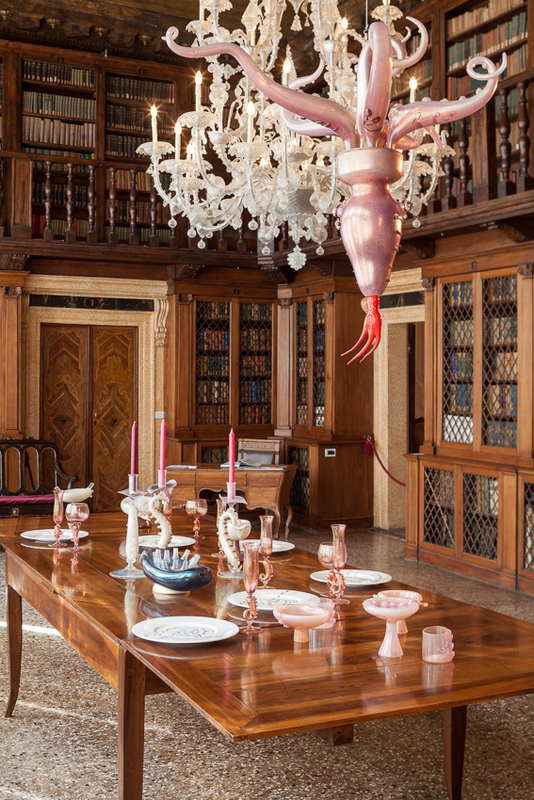 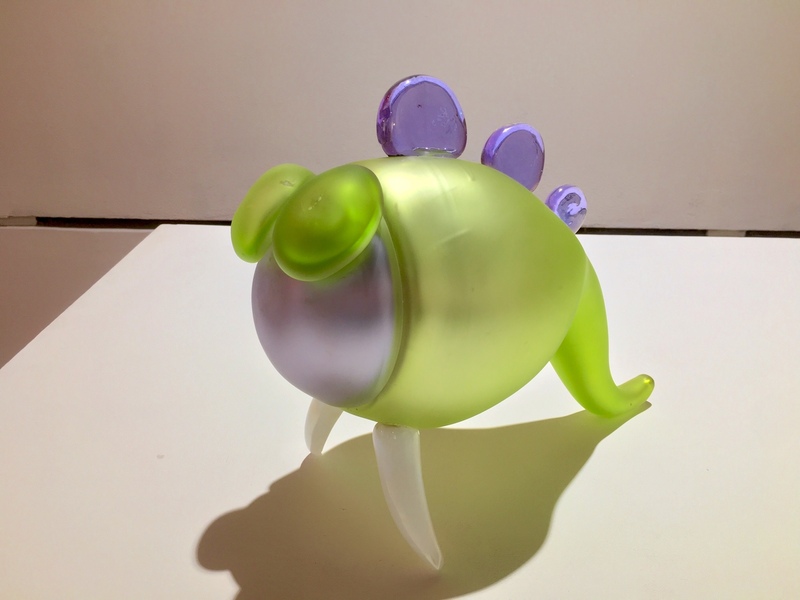 There is a linguistic link between the octopus and practice of Murano glassmaking: glass blowers usually call the badly made objects as Folpi. 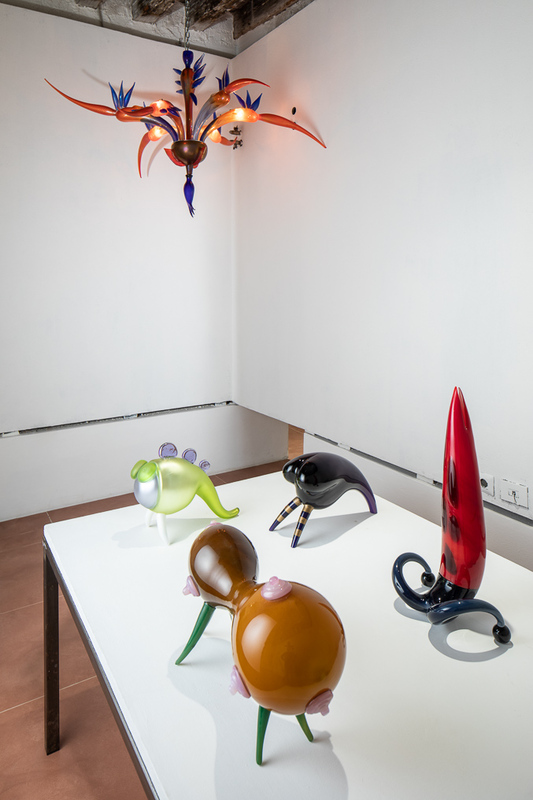 Table objects of glass whose inspiration enhancesthe characteristics of the species of invertebrates, characterized by tentacles and suckers forms. 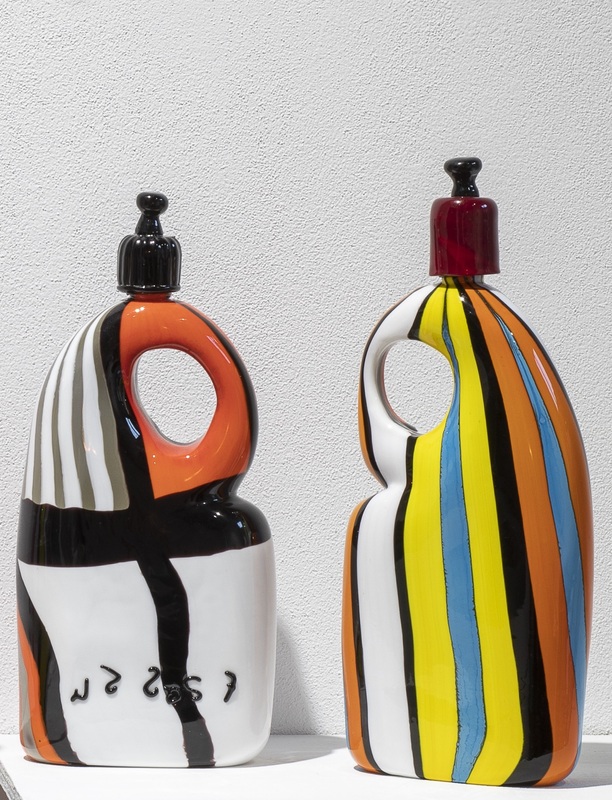 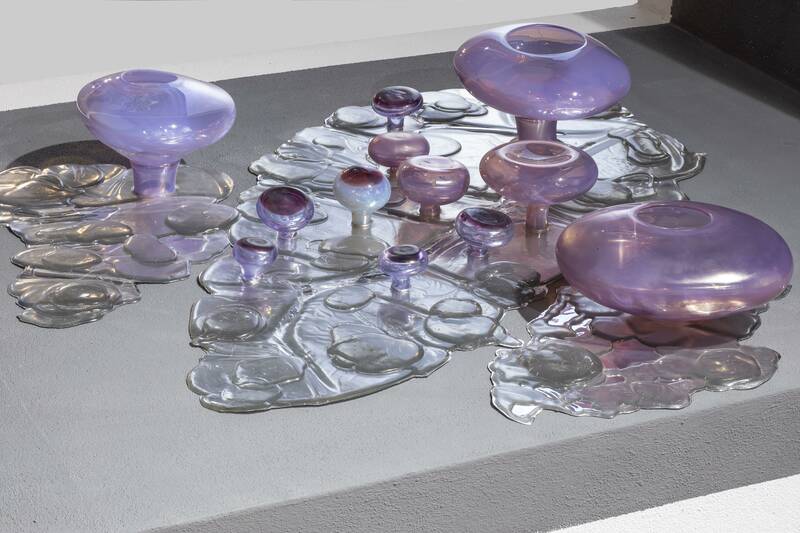 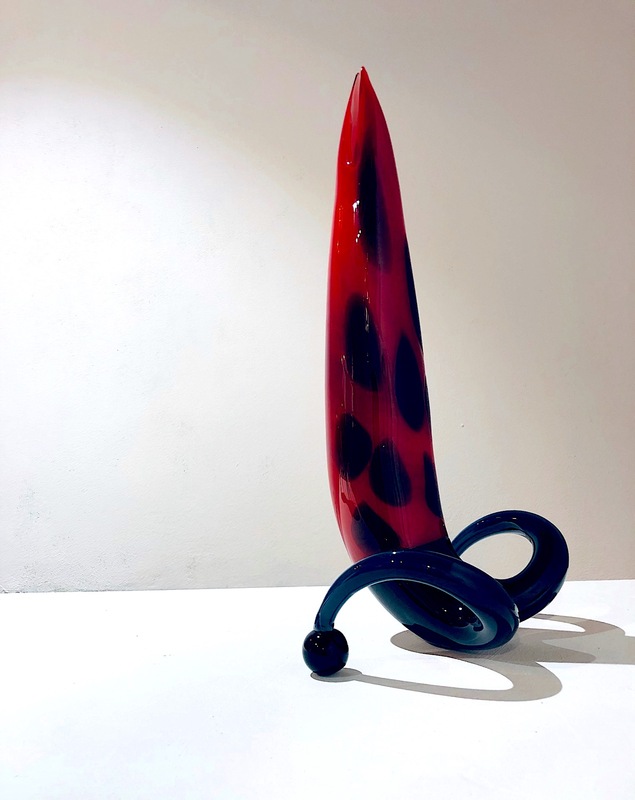 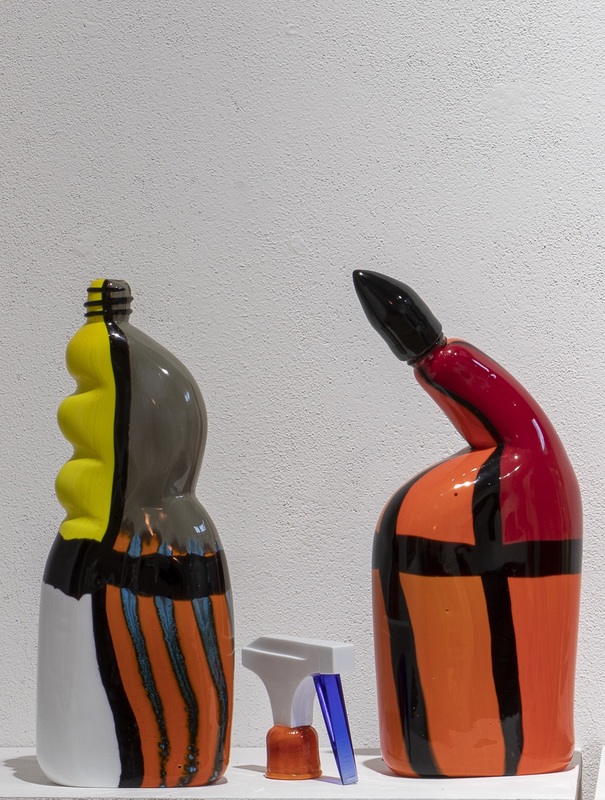 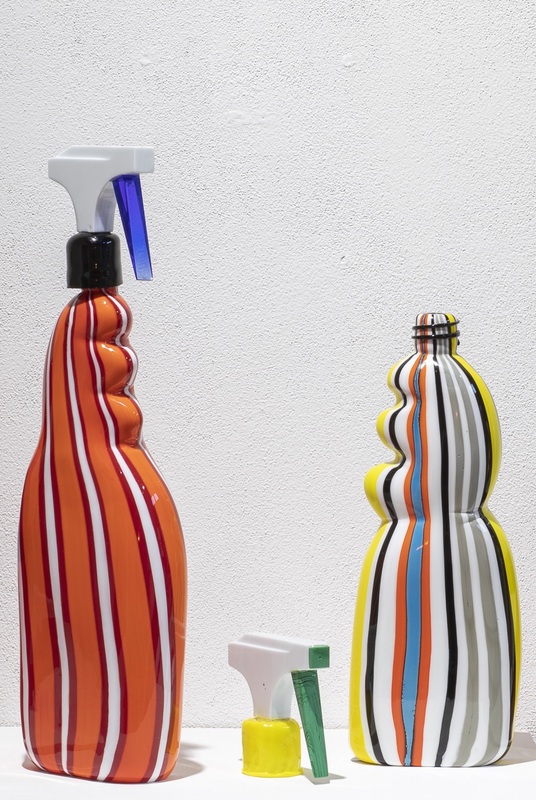 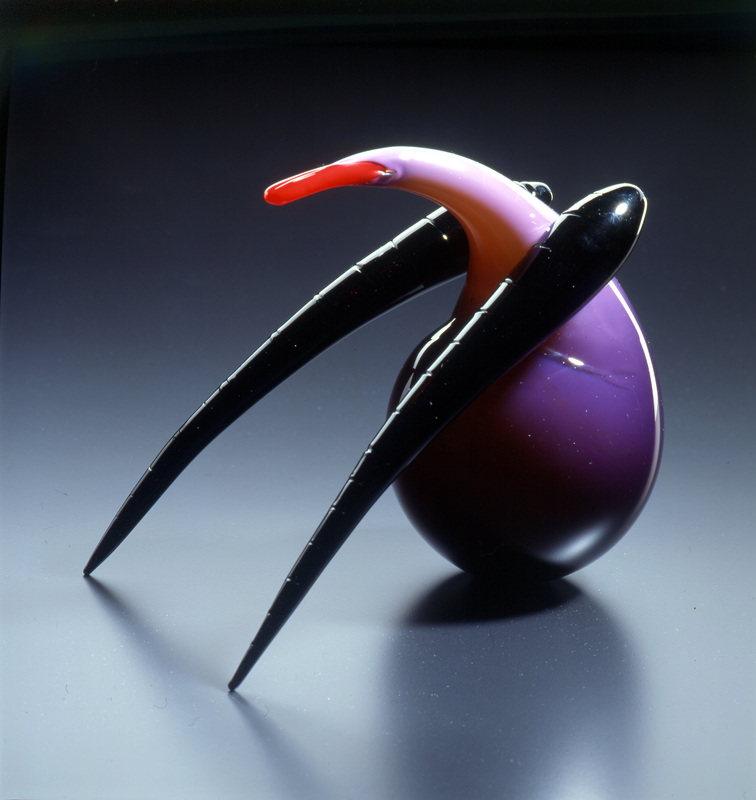 It is a typical and recurrent subject in a venetian art of glassmaking, but Maria Grazia Rosin reinterpretd in an original way. 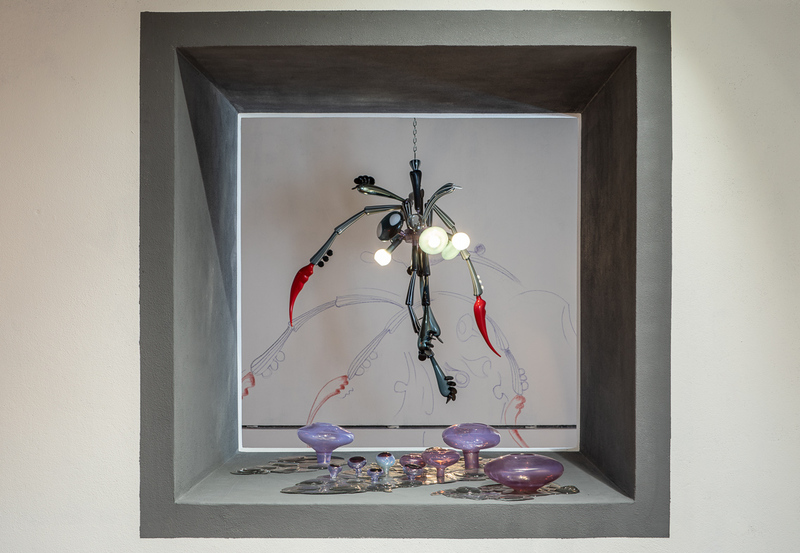 A pair of lighted suspensions, designed for this room, in a dark blue glass: this media opaque, transparent or translucent, satined and mirrored makes a disorienting and mysterious effect. 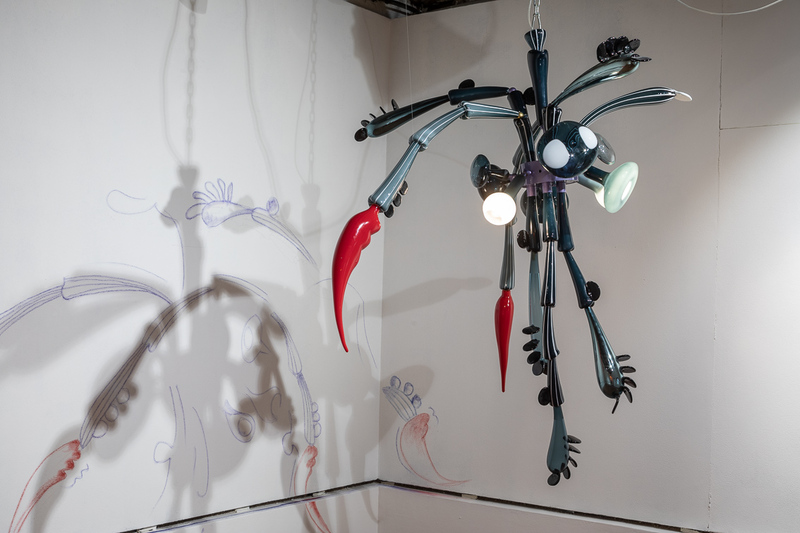 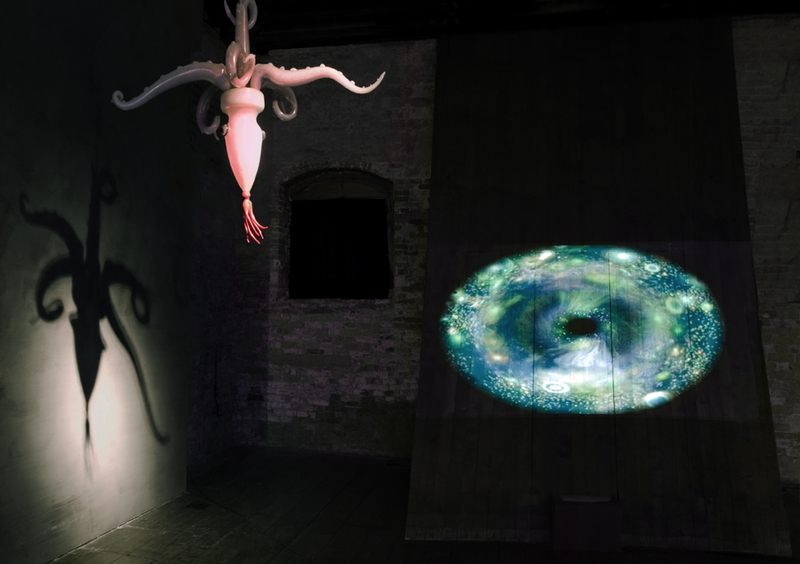 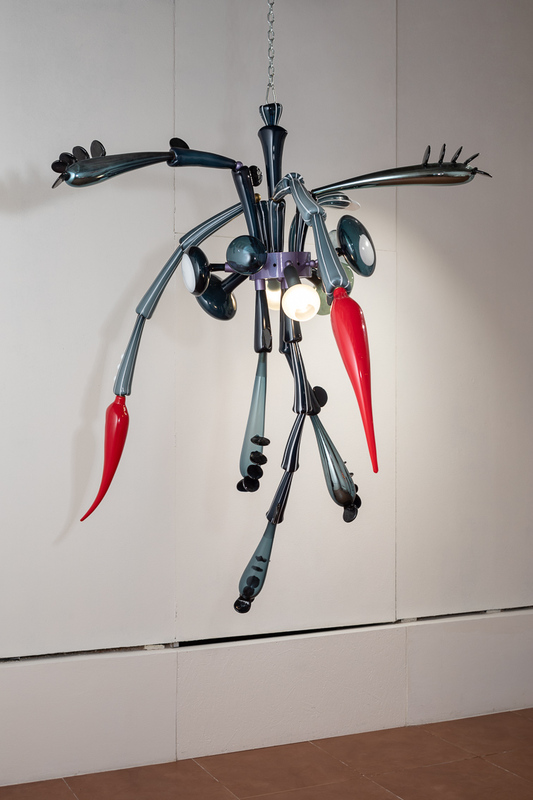 They are inspired by phytomorphic bodies with long and modular arms which are floating in the air towards each other.